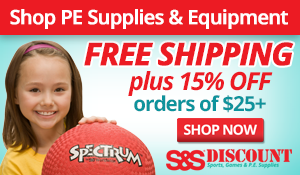 To provide monthly fitness challenges for children. 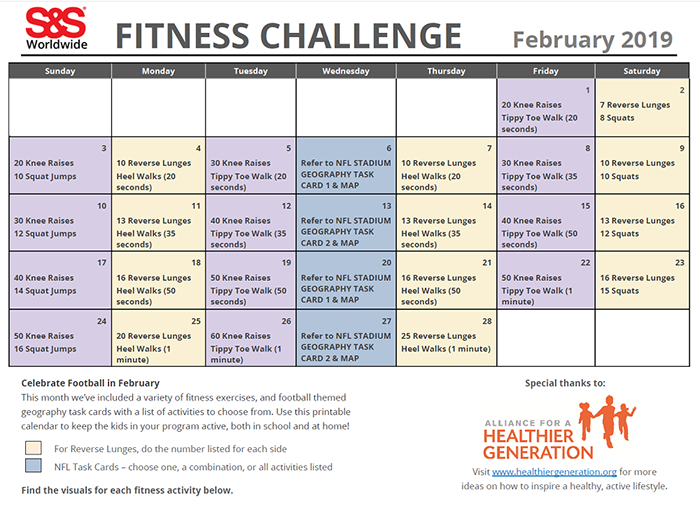 PE Central has teamed up with S&S Worldwide and the Alliance For A Healthier Generation to create fitness challenge calendars for each month of the year. The calendars also include task cards for each challenge, so you can show your students images of the correct way to do the activities. Students are challenged each day to participate in the activities listed on the calendar. Check out the Cooperative Fitness Challenge which includes 6 incredible Fitness Station challenges. Submitted by Mark Manross who teaches at PE Central Thanks for contributing to PE Central! Posted on PEC: 1/23/2019. Viewed 13420 times since 2/8/2018.